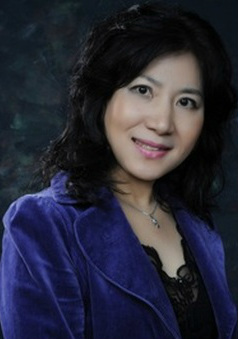 Dr. Yumui (Annie) Ko OMD, Ph.D.
Hong Kong University and Medical University of Guangxi in China graduate. Training and Research in acupuncture & Chinese Medicine from Tian Jin University of Traditional Chinese Medicine in China. Over 20 years of experience working in University hospitals & Clinical practice in Acupuncture & Chinese Medicine. Full Time Professor at South Baylo University in Anaheim, California from May 2010 to June 2013. Acupuncture works primarily because of its interaction with spinal impulse and pain processing, which controls both the conscious perception of pain and the unconscious perception of different body parts as a response to various stimuli. Acupuncture is based on the distribution of nerves, blood vessels, arteries, and the lymphatic system, and on muscle distribution specific to pathology and injury. Proper needle placement and stimulation control pain to promote healing which leads to better function. Many injuries respond well with minimal intervention. Acupuncture can affect the release of endorphins and the related substances enkephalins and dynorphins, our body’s opiods. Acupuncture is often an ideal way to treat acute and chronic pain because it alters the body’s neurochemistry. Why should you choose acupuncture as a pain treatment? Acupuncture is a natural therapy, unique in that it relies on the body’s defensive and immune systems for its effects. It can avert the risk of invasive procedures or surgery. How can acupuncture and herbs alleviate eye problems? Acupuncture can improve the visual function of patients with optic atrophy and macular degeneration, diabetic retinopathy, multiple sclerosis, and glaucoma. Acupuncture can be an effective therapy to help regain vision in totally blind patients. As a result of total blindness, macular degeneration usually occurs. With macular degeneration, a variation of the visual index, visual field, visual evoked potential were observed before and after acupuncture treatment. Acupuncture & Chinese Herbs help reduce open-angle glaucoma high internal pressure while eye drops can't. Acupuncture can decrease eye pressure as it reduces the fluid build-up inside the eyes. Our acupuncture clinic is located in the beautiful city of Newport Beach. We are only a 10-minute drive from Newport Beach, Irvine, Costa Mesa, and Laguna Beach.